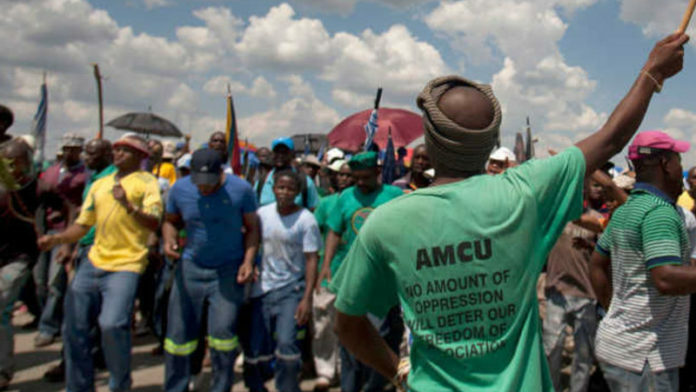 AN appeal by the Association of Mineworkers & Construction Union (AMCU) against the proposed takeover of Lonmin by Sibanye-Stillwater would be heard in the Competition Appeal Court of South Africa on April 2. The appeal is against the South African Competition Tribunal’s decision of 21 November 2018, to approve Sibanye-Stillwater’s offer for Lonmin subject to certain specific conditions, said Sibanye-Stillwater in an announcement. One of the conditions of the tribunal’s approval of the transaction was that the parties observed a six month moratorium on retrenchments. Lonmin had already committed to the reduction in employee numbers of some 12,500 over three years. As of November, about 2,000 jobs at Lonmin had been cut. The appeal is part of a wider confrontation between AMCU and its outspoken president, Joseph Mathunjwa, and the company who are currently engaged in a wage stand-off at the gold mines of Sibanye-Stillwater, underway since November 21. Earlier this week, AMCU extended the protest to a secondary strike at Sibanye-Stillwater’s platinum mines in a move thought to stem from Mathunjwa’s anger at the firm’s statements that it was able to offset the negative effects of the gold mine strike. Lonmin also represents AMCU’s power base established during the months before the Marikana tragedy in September 2012.